Out! 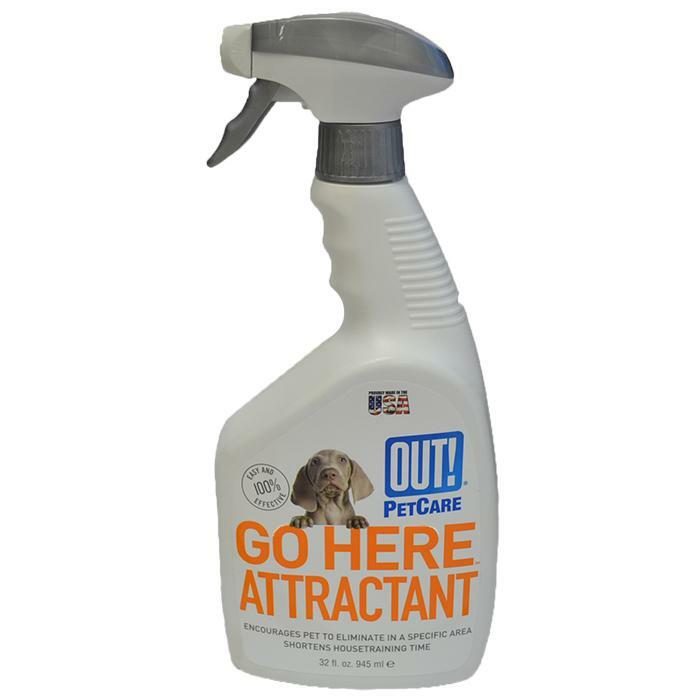 Petcare - 'GO HERE' ATTRACTANT TRAINING SPRAY 945ml - 220_DOG WASTE PRODUCTS, Training Aid - Product Detail - Prestige Pet Products Pty. Ltd. The perfect solution for getting dogs to do their business where you want them to go. Spray encourages pets to eliminate in specific areas. Helps shorten house training time, use indoors or outdoors. Safe around Pets and Children.